The bucket seats are suspended from the aluminium upper structure, and the steel lower frame and bumper make them very tough. The 5-point harness is easy to use, very adjustable, and very secure. Behind the seat is plenty of space for storage – shopping, or the other trailer parts if you want to change mode on the move. The whole trailer folds flat in seconds – wheels come off with the press of a button, and releasing two safety catches folds the frame. 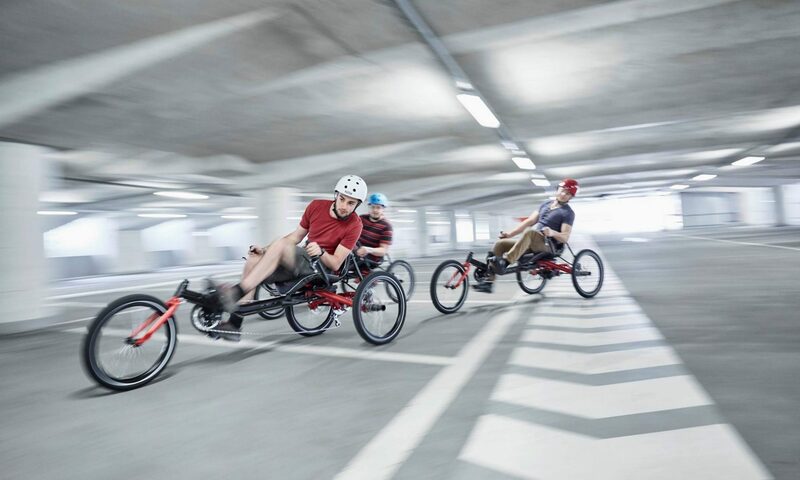 The Croozer trailers come in one or two seat versions, and there’s also Plus versions of both with the AirPad suspension system. For babies and smaller children, Croozer make a couple of add-ons – a baby sling for newborn up to 10 months, and for slightly older kids who can sit up by themselves but need a bit of support there’s the seat supporter.